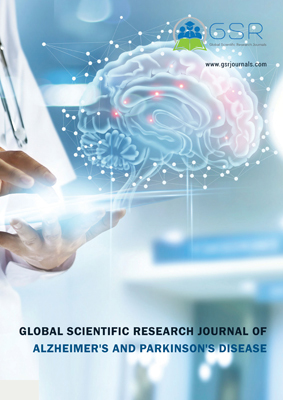 Global scientific Research Journal of Alzheimer's and Parkinson's disease is an open access, peer-reviewed, scholarly journal dedicated to publishing articles in all clinical and medical aspects of both Alzheimer's and Parkinson's disease. Global scientific Research Journal of Alzheimer's and Parkinson’s Disease accepts original research articles, review articles, case reports, mini-reviews, rapid communication, opinions and editorials on all clinical and medical aspects of both Alzheimer's and Parkinson's disease. The scope of the Journal is not limited to the mentioned areas. Department of Medical, Oral and Biotechnological Sciences,University G. d'Annunzio,Chieti-Pescara. Professor of Medicine,Chair of Multidisciplinary Neuroscience Alliance,Burnett School of Biomedical Sciences,College of Medicine,University of Central Florida,Orlando, FL, USA.